The `sonic turn' in recent art reflects a wider cultural awareness that sight no longer dominates our perception or understanding of contemporary reality. The background buzz of myriad mechanically reproduced sounds increasingly mediates our lives. Tuning in to this incessant auditory stimulus some of our most influential artists have investigated the corporeal, cultural and political resonance. In tandem with recent experimental music and technology, art has opened up to hitherto excluded dimensions of noise, silence and the act of listening. Artists working with sound have engaged in new forms of aesthetic encounter with the city and nature, the everyday and cultural otherness, technological effects and psychological states. New perspectives on sound have generated a wave of scholarship in musicology, cultural studies and the social sciences. But the equally important rise of sound in the arts since 1960 has so far been sparsely documented. 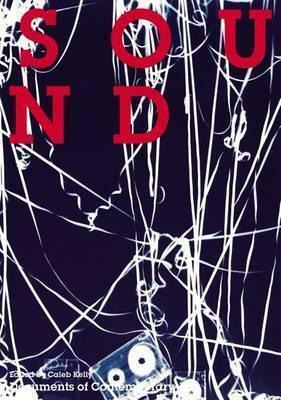 This volume is the first sourcebook to provide, through original critical writings and artists' statements, a genealogy of sonic pathways into the arts; philosophical reflections on the meanings of noise and silence; dialogues between art and music; investigations of the role of listening and acoustic space; and a comprehensive survey of sound works by international artists from the avant-garde era to the present. Artists surveyed include: Marina Abramovic, Vito Acconci, Doug Aitken, Maryanne Amacher, Laurie Anderson, John Cage, Kim Cascone, Martin Creed, Paul DeMarinis, Bill Fontana, Kim Gordon, Dan Graham, Ryoji Ikeda, Mike Kelley, Christina Kubisch, Bernhard Leitner, Alvin Lucier, Len Lye, Christian Marclay, Max Neuhaus, Carsten Nicolai, Hermann Nitsch, Yoko Ono, Nam June Paik, Luigi Russolo, Karin Sander, Mieko Shiomi, Michael Snow and Bill Viola. Writers include: Ralph T. Coe, Christoph Cox, Suzanne Delehanty, William Furlong, Liam Gillick, Paul Hegarty, Branden W. Joseph, Douglas Kahn, Dan Lander, W.J.T. Mitchell, Michael Nyman, R. Murray Schafer, Michel Serres, David Toop and Paul Virilio. Introduction; The Audio Arts; Noise; Acoustic Spaces; Art Bands; Sound in the Arts; Biographical Notes; Bibliography; Index; Acknowledgements. Caleb Kelly is a New Zealand-born writer, curator and producer in the fields of experimental music, sound arts and performance. A lecturer at Sydney College of the Arts, University of Sydney, he is the author of Cracked Media: The Sound of Malfunction (The MIT Press, 2009).